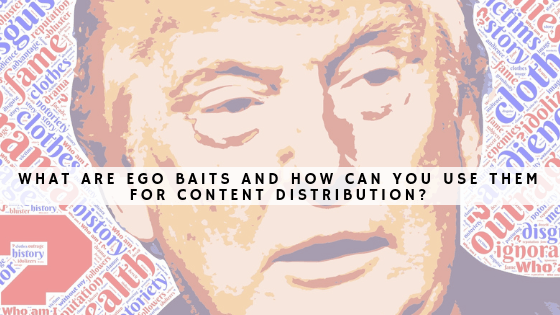 What are ego baits and how can you use them for content distribution? 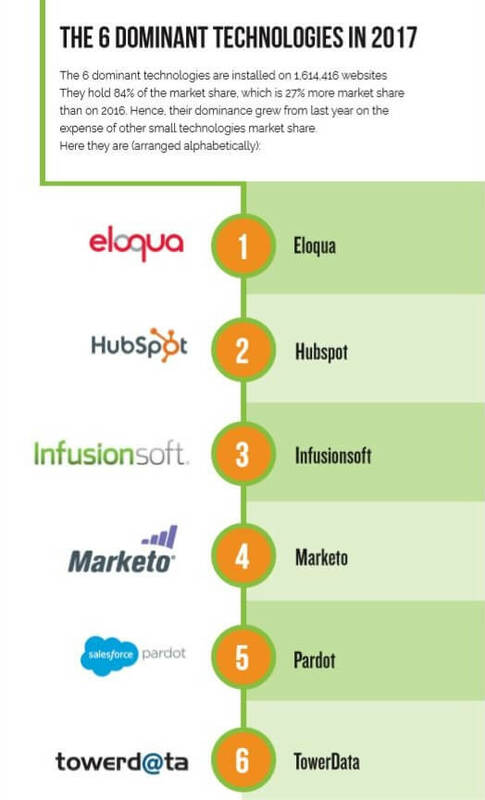 When it comes to content distribution, one of the most effective and popular strategies is applying ego baits. It’s by no means a novel strategy but one that’s been increasingly getting attention and recognition in the past few years, especially with the social media boom. As such, it deems a closer look for its potential and effectiveness. plays to the self-importance of the other side. The concept has a somewhat misfortunate name as it actually sounds worse than it is. While you’re in fact stroking someone’s ego by saying nice things about them, ego baits are more about networking than anything else. In essence, it’s the type of content that features industry experts and influencers. Sometimes, you’re simply taking advantage of knowing influential or smart friends whose words have merit. However, more often than not, you’ll just be reaching out to experts to get their take on the subject. The focus is on crafting content with the aim of appealing to your target’s ego. 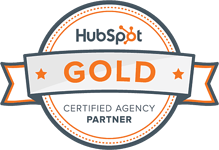 In return, that recognition earns you back a link, social share, or any other form of usable content. Thus, ego baits in their pure form have a certain level of reciprocity - you scratch my back, I’ll scratch yours. Say nice things about someone and they’ll likely do the same. Just remember there are limits as to how far you can go without being sycophantic - that’s the wrong ego you’re catering to (I’ll brush up on that later on). Ego baits also work without aiming at an individual to satisfy the element of reciprocity. This category of ego baits is called link baits and pertains to use of content that targets an entire audience. What you do is typically find a trending topic and then generate kickass content that’s genuinely valuable and/or different from what everyone else is doing. Don’t worry, I’ll get to those as well. You attract traffic to your site naturally as people start sharing your content on different platforms, connecting to it on personal or professional levels. The above also adds to the SEO aspect of your website and helps increase your positions in SERPS (Search Engine Result Pages), as it’s a direct signal to Google that your content is of value. With more traffic to your site and more link sharing, your company or brand gets more recognition and mentions, building awareness and even forming a tighter community. Ego baits are super close to that beloved “win-win” scenario where both sides profit: one side gets exposure (not necessarily to the same audience they’re used to, which is always a plus) while the other gets great, lasting content, as well as the possibility of reaching out to a different audience. Another great question, if I may add. Content that compels people to link out to it comes in various shapes and sizes - that’s what makes ego baits so effective. 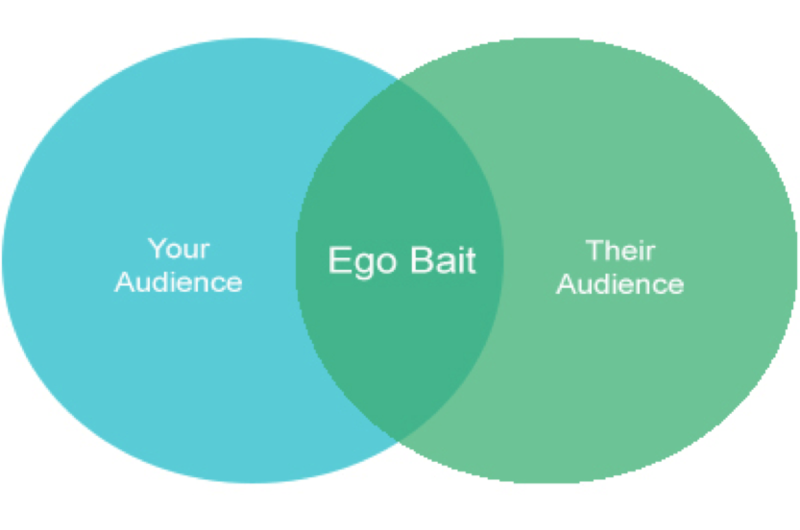 I’ll mention a number of types that showcase the power of ego baits: getting lots of traffic, backlinks, social shares, and increased brand visibility - all the things necessary to deliver more relevant traffic to your content. After I provided the quote and the post was published I was approached again and asked to share the post to my social media networks, which I did (and now I linked it here as well for all of you to see. See what I did here? I’m sneaky that way). As a form of ego baits, guest post is perhaps the longest standing. That’s because this type of content has been delivering results throughout history. Experts and influencers usually provide great content because they have a large following and say what their audience wants to hear. In that regard, you can hand them the reins to offer actionable insights and expertise that your target audience seeks, whether it’s a fresh take on something or an entirely new approach. The added benefit is the opportunity to attract the expert/influencer’s audience as it will come to your site, especially those that almost religiously follow them. A smaller form of the expert roundup (if you will), doing an interview with an expert or an influencer means focusing on a broader set of questions. Therefore, there’s a bit more work put into figuring out what your audience will find relevant. Otherwise, the whole point of the interview is the same as that of the expert roundup - produce a trustworthy and useful content rich with insights. One advantage of interviewing an expert/influencer is it works in different forms like a podcast or video (if applicable), adding a more of a multimedia experience. In any case, a written form is a must due to its SEO value. Pro tip: a podcast is a great way to nurture relationships with influencers. Checkout our recently launched one Real Life Superpowers on Itunes and Stitcher featuring guests such as HubSpot founder Brian Halligan and MOZ founder Rand Fishkin. The first of the link baiting section, lists are always a great idea because they tend to both groups and individuals. 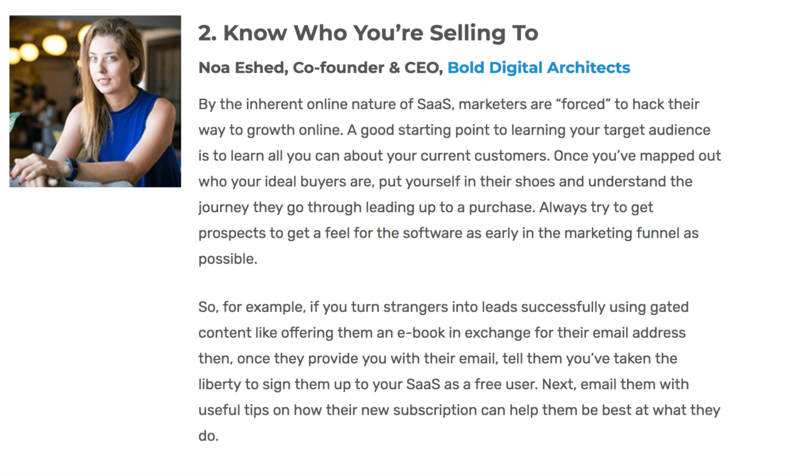 What you’re doing is recommending people, content, products, or services. In doing so, you incentivize the recommended entities to share them because let’s face it - who doesn’t want to boast about being great at something? The same principle goes for data-based lists that have a slightly different take as they use statistical information, studies, reports and so on as their foundation. Whichever way you look at it, you’re creating an authentic piece of content that addresses and solves a problem for your audience while promoting someone or something. The main strength of infographics is their visual appeal. As humans, we are wired to be naturally drawn to images and colorful elements - anything visual that stimulates the brain. That’s primarily the reason why infographics are one of the most naturally shared and seamlessly integrated ego baits because we simply like seeing statistics presented in a visually appealing form. no matter how great the content is, it will never go viral if it isn’t seen. 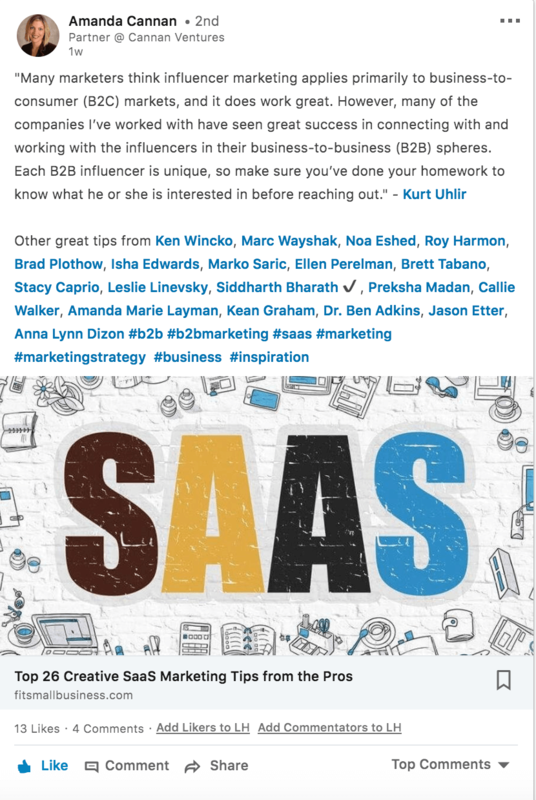 Besides sharing the hell out of your content on social media, it’s critical to get in touch with your experts and influencers and let them now the content is published. Make a gentle suggestion to give it a small push by promoting it with their audience. An email or a tweet will do, just don’t be too pushy because you might ruin the chance for any future cooperation. At the very center, ego baits are about creating powerful, expert content that mostly features someone else’s work. The types mentioned in this post are by no means the only ones you can leverage but are more than good enough to get you into this world.